Morning, my fellow prunes and rosehips. Definitely feeling more prunish than rosehippy this morning but I live in hope. I've had an interesting little experience that I thought I'd share and, you never know, it might help someone else along the way. I've had a long-standing physical problem that kicked off after my husband died and is still bugging the hell out of me. I've been trying alternative therapies of all descriptions - anything that might help me fix this and feel better. Anyway, I had a flare-up of symptoms recently and called my very wise homeopath. She suggested that I read You Can Heal Your Life by Louise Hay, as she thought I'd find it relevant and useful. Now, I've bought all sorts of self-help books over the years but have always avoided Louise Hay. She just seemed too big and too popular to be of any use to me. Far too many weeks in the bestseller tables to be relevant to me (how does that work? Discovering that little fact about myself was interesting in itself.) But I respect my homeopath so I went out and bought a copy. Wow - what a great book! The very first exercise brought results for me and I thought I'd share it with you. She says to get a big bit of paper and at the top of it to write "I should..." and underneath that you make a list of five or six ways to complete that sentence. Wow - when I saw this exercise I thought it was pointless but then I thought - "well, I want to get better, let's give it a go", so I settled myself down with a coffee and tried to think of one or two "shoulds" in my life. Once I started, I could barely stop. 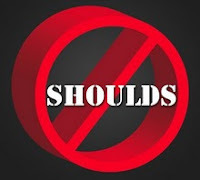 I discovered that my whole life is full of "shoulds". I should lose weight. I should keep the house cleaner. I should get out more. I should be able to stop the dog doing the toilet in the house. I should walk her more often. I should do some voluntary work. I should redecorate. I should cook proper meals...and on and on and on. I realised that from the moment I woke up every morning, I was beating myself up about pretty much everything in my life. No wonder I wasn't feeling well. Even taking the exercise just this far has been useful in the week since, but she suggests that you take each "should" statement and turn it into a "If I really wanted to, I could...", not to put further pressure on yourself, but to find out exactly what kind of pressures you are putting yourself under. There are many more exercises in the book to work on, and I am seeing new things all the time as I do. I hadn't realised, for example, that the overwhelming message I got as a child, both from parents and society at large, (and anyone brought up in the sixties and seventies will know what I'm talking about) was that girls would never be as good as boys and that, as a woman, all I had to look forward to was being gorgeous and the target of constant sexual innuendo or plain and a figure of fun. Plain women were a waste of space and beautiful women were only useful for one thing. As an adult, of course, you try to put these things behind you but, deep down, that message is apparently still singing loud and clear in my ear. So there's lots of work to be done there. But what I wanted to tell you about today was a practical example of the life of "should". Ever since I did this exercise, when I have found myself saying "I should", I stop myself, question myself as to why I am saying "should", and then try to rephrase the thought. I wandered into my study and thought, with a sinking heart and a pang of guilt, "I really should vacuum this carpet." Spotting the use of the dreaded s-word, I decided to find a way to rephrase the thought without saying should. I couldn't. I felt guilty about the dirty carpet and I couldn't find a way of not beating myself up about it. Then it suddenly struck me. I could say "This carpet really needs vacuuming." And that made all the difference. 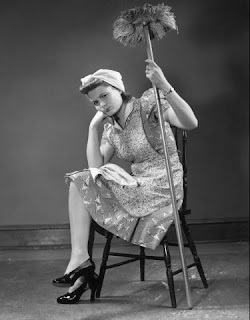 All of a sudden it wasn't about me being lazy and a lifelong bad housekeeper. It was simply that the carpet needed cleaning. And once I'd had that thought, I could see that there were other solutions to the situation. If the carpet needed cleaning, I could pay someone to come in and do it. Or I could say - "Yes, it needs doing but I am not going to do it today." Or I could get the vacuum cleaner out and clean it! I know this is a really trivial situation, but I think it represents a hundred, a thousand similar thoughts that we beat ourselves up with constantly. 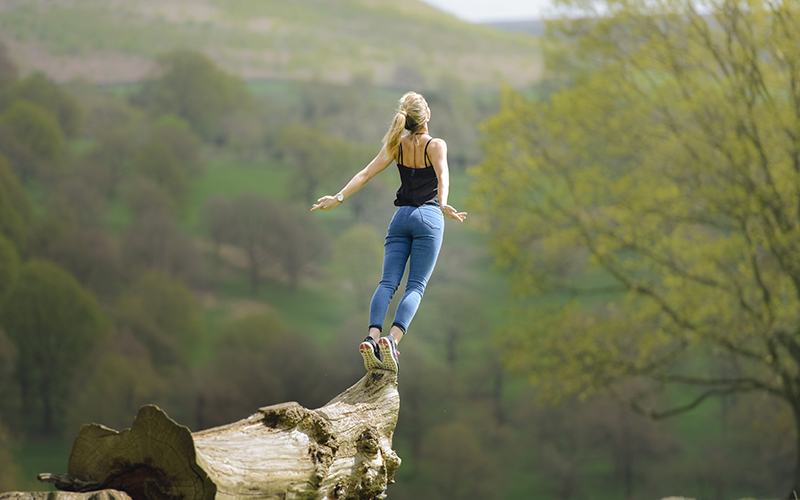 From now on, whatever the situation, I will try to take away the self-blame and see things in an objective way, lighten the emotional load on myself and be gentle with myself. Hey, I read that the happy book has arrived! I'm not in the mail-around, but I'm going to follow along! I've read Louises book a few years ago, but I can't remember really getting something out of it. It looks like you did, though, and I really like your example of the carpet that needs vacuuming. I do believe that changing the way you thinks helps to make you happier, but I think Louises belief that every disease is created by ourselves and can be fixed only by affirmations, is very foolish. But thank you for your post, you've inspired me to reread the book, and I do hope it is helpful for your physical problem! Hi from California! Thanks for visiting--nice to meet you. I'm happy to read that you are resolving your physical problem....I've been plagued by a leg problem and will have to take a look at Louise Hay's book. Anyway, it's time to focus on happiness. Have a mirthful week! I have this book somewhere on my shelves and will make a point of looking for it to reread. I am working on being more optimistic and for a life-long pessimist, that is a challenge. But I think rephrasing our shoulds is a very valid exercise, along with adding as many positive affirmations to our inner dialogue as we can. You raise some valid points and have got me thinking in a positive direction today!